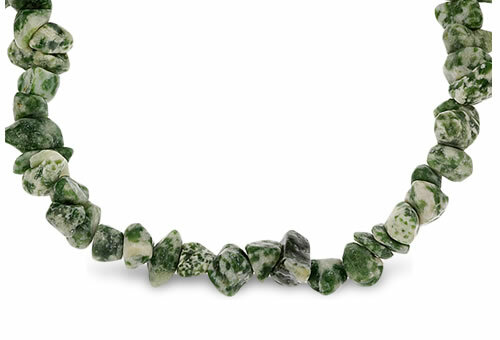 Moss agate is a variety of chalcedony with contrasting white and green moss-like patterns. Its green coloration comes from a mineral called chlorite, while the reds and browns come from manganese oxide or the oxidation of iron hornblende. Moss agate is generally cut into thin slabs and polished to best display its natural patterns. Often moss agate cabochons are used in distinctive jewelry designs. The stone has dendritic, chlorite or hornblende mineral inclusions that have the appearance of moss.